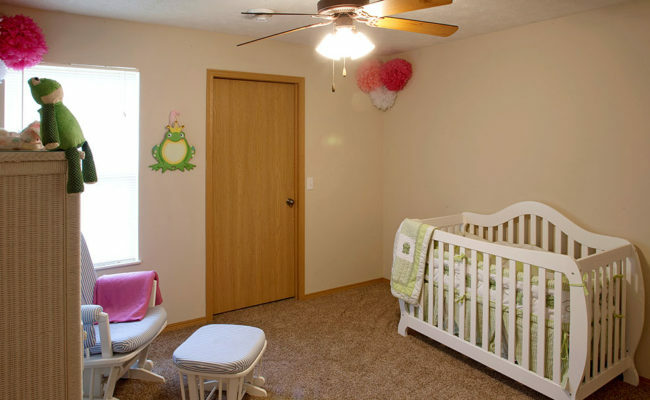 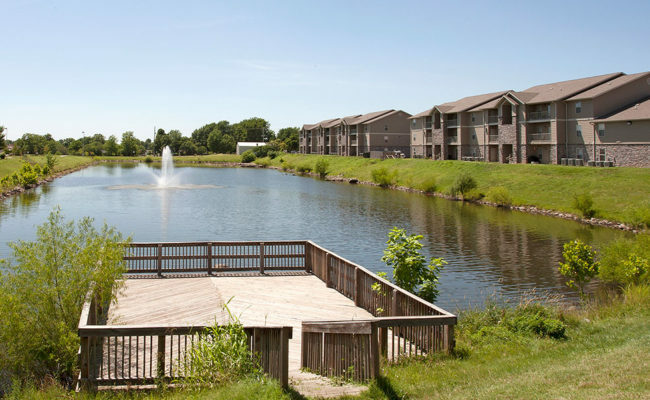 The Golden Pond property is located in Springfield, Missouri, in one of the fastest-growing parts of the city. 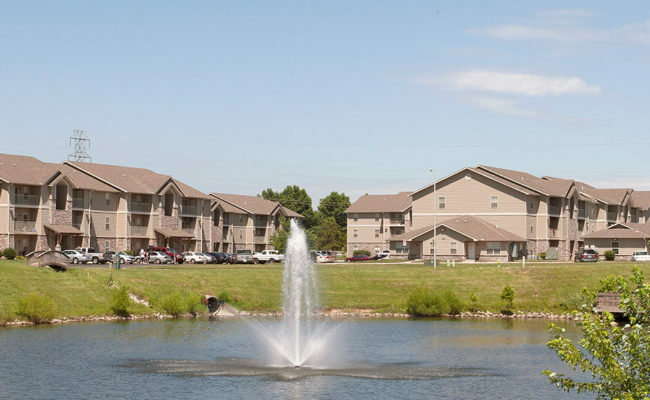 With a population of over 400,000 people, the Springfield metropolitan area is a bustling commercial center on Missouri’s Ozark Plateau. 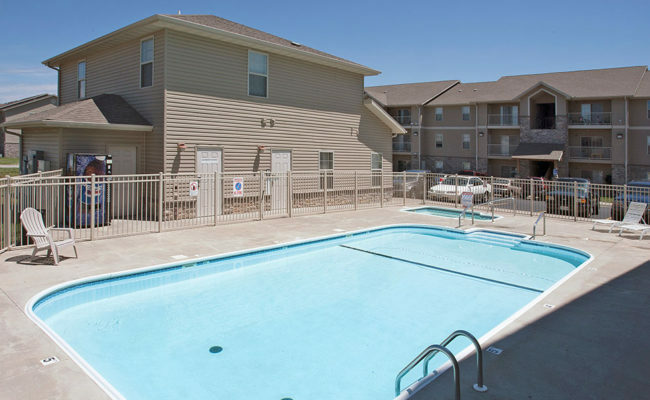 The city was recognized as one of the ‘Top 25 Best Places in the U.S.’ by Forbes Magazine, and was ranked number 12 in the nation in 2011 for its Low Cost of Doing Business, which reflects the city’s continuing ability to attract new business and development to the area. 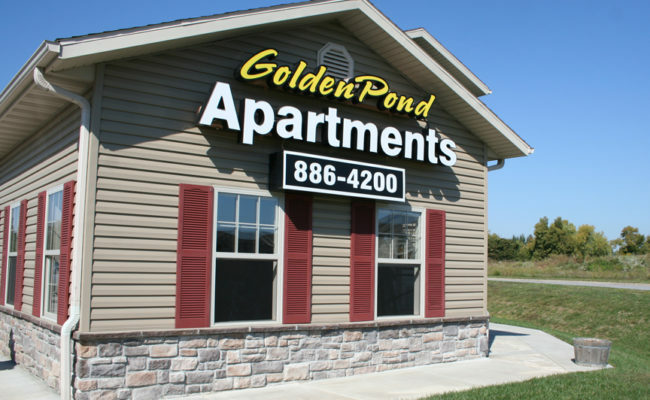 The Golden Pond property is a luxury apartment complex located within a larger, mixed-use commercial development. 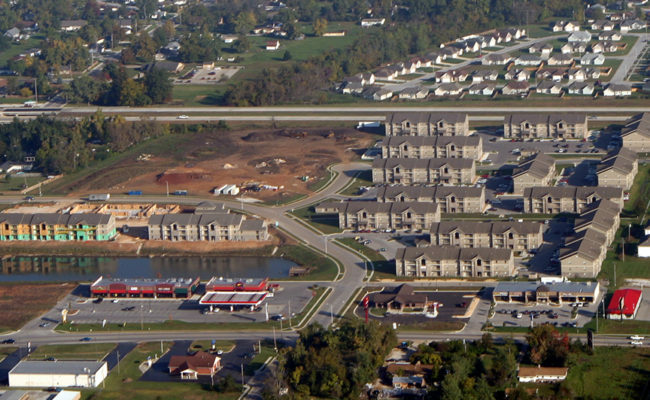 The development also includes several local shops and restaurants, a bank, and a grocery store. 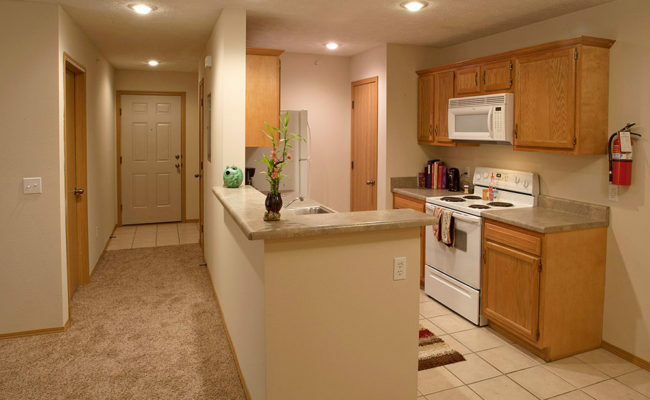 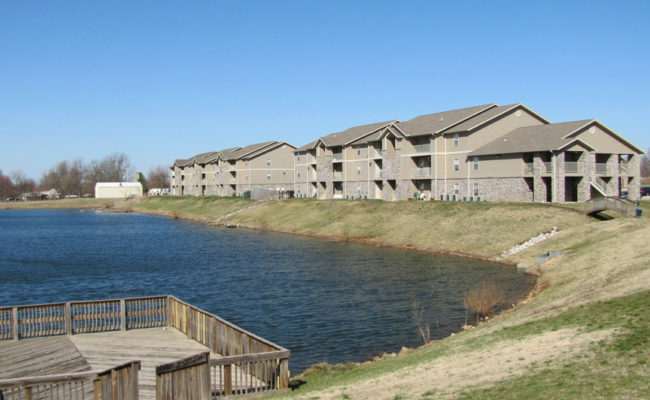 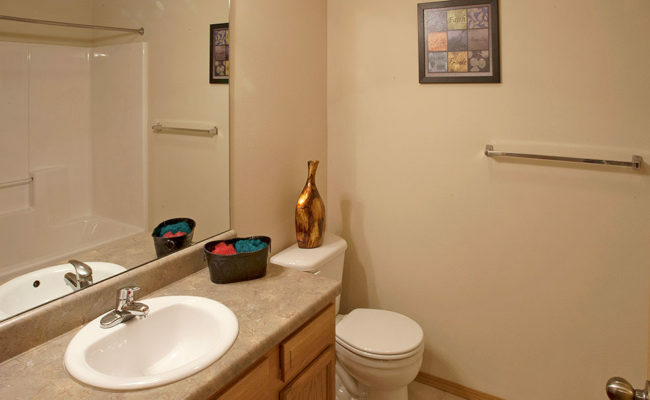 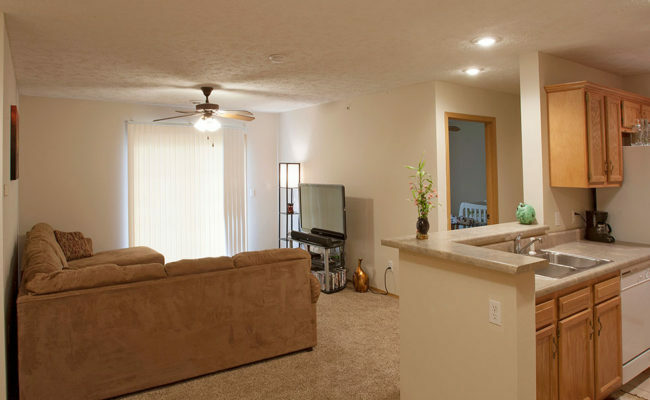 There are one, two, and three-bedroom apartments available in the Golden Pond apartment complex. 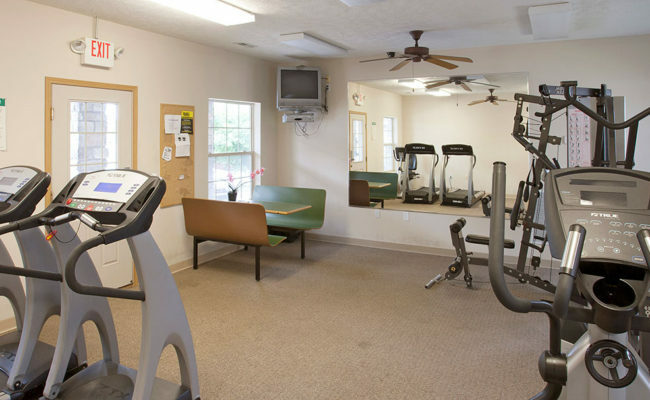 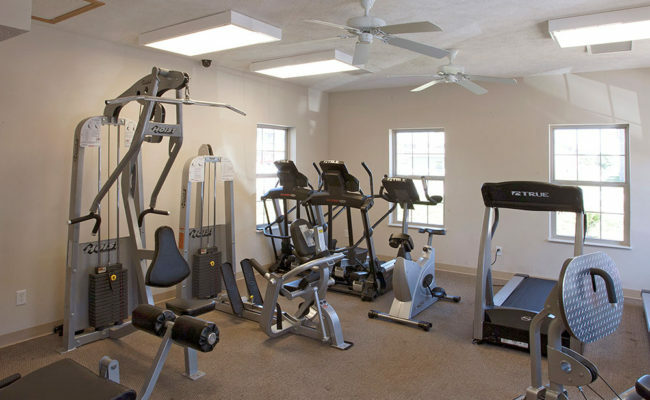 Other amenities include four large swimming pools and accompanying hot tubs, four fitness centers, a covered picnic area, and a large, stocked fishing pond.